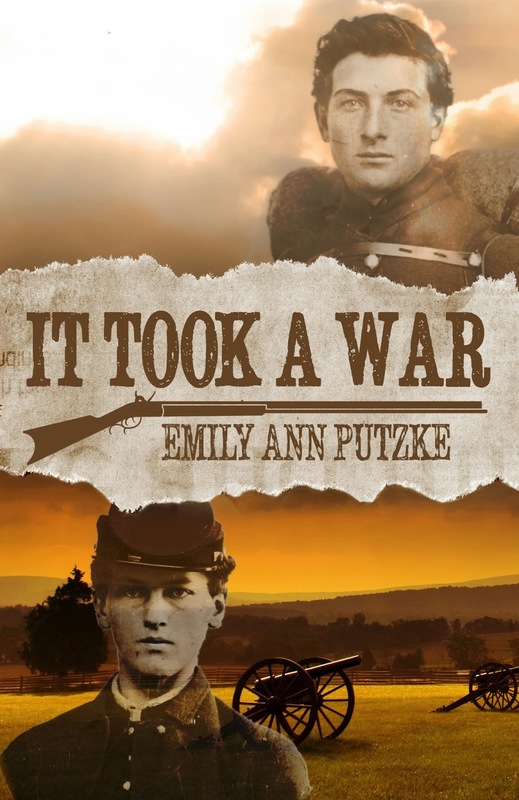 IT TOOK A WAR is Now Available! My book is now available for purchase! In celebration of Christmas and my book launch, I'm having a Civil War Christmas bundle giveaway! Entries are only open to people in the U.S. I'm really sorry to all you wonderful people overseas (Hannah, Evie, and Beth!) but it would be too expensive to ship. Booo. (1) Autographed copy of It Took a War. I'll announce the winner on Saturday, December 20th, 2014. At Entirely Bonkers, fellow author Emily Chapman reviews It Took a War, I share my research process on A Northern Belle, and Amber Stokes interviewed me on her blog, Seasons of Humility. Thank you all so much for your support! I hope you enjoy It Took a War! THANK YOU!!! =) Love ya! Thank you so much, Hannah!! Congratulations, Emily! Looks like a great book and what a fun giveaway too! :) Thanks! Congrats, Emily! Such an amazing accomplishment! Love historical books about any war-time era! Congrats on making your dream come true to be an author, that's got to be super exciting ( and challenging too)! Thanks for the chance to win a copy of "It took a War" & the great prize package too. Blessings & Merry Christmas to you and yours! I am so proud of you. Published, smart and a beautiful soul. Did I say I was so proud of you? Awww thank you so much, Mrs. Storch!! You're so sweet!! I just ordered your book and i can't wait to start reading it!! Congratulations on this exciting accomplishment! Thank you so much, Anne!! Go Em!!!!!! I'm uber proud of you!! As you're one of my new dear blogger friends I wish you all the best :D No worries about the giveaway I understand! *jumps up and down* My friends an authorrrrrrrrrrrrrrrrrrrrrrr! You're so sweet, Evie!!! Thank you!! Enter me please! Love tge book. The giveaway is for the whole bundle, so even if you're entering under "mug" or "journal" or "book" you're getting entries to win the entire thing. Did that answer your question? If not, let me know! Thanks for entering! !